Experience the old style splendour and original historic grandeur of a bygone era. Offering guests the perfect balance between old world aristocratic charm and modern comforts - combining fine heritage with first-class hospitality. Bring your dreams to life with this unique chance to step back in time and live out the luxurious lifestyle of nineteenth-century aristocrats. A rich heritage of magnificence, old style charm, refined elegance, sheer opulence and the utmost discretion - these are the characteristics of Château Bouffémont. The options are limitless. Enjoy dinner at the same table where Baron Empain dined, taste the authentic gourmet dishes created by a private chef and served according to the French rules of fine dining or just daydream overlooking the spectacular views of the estate - just as the Marquise of Preignes loved to do. 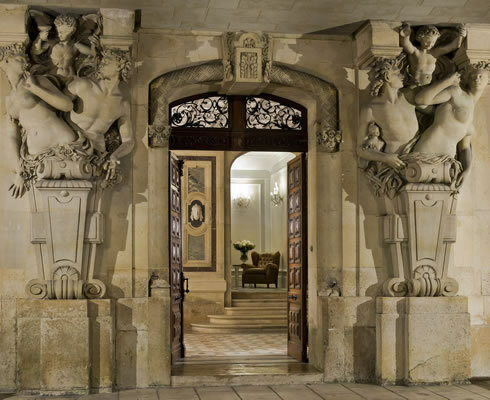 At Château Bouffémont, you can live the fine life of nobility in a magnificent and enchanting setting. Upholding and respecting tradition and history is at the heart of Château Bouffémont and the Château strives to maintain a masterful combination of antiquity, charm and elegance.